With a history of “plastic money”, you cannot ignore charge cards. Charge cards laid the groundwork for debit and credit cards. Company-issued charge cards can be found as far back as the early 1900’s. These cards mainly just kept customers loyal to the company. “Charg-it” was the first actual bank card and was issued in 1946. The card was invented by a banker in Brooklyn, by the name of John Biggins. 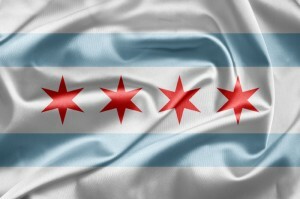 However, only local purchases could be made. 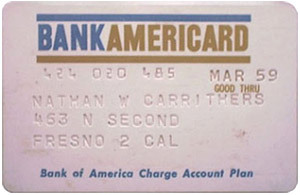 The concept of the credit card was initially acted upon by Frank Mcnamara. After dinner with a fellow business associate, Frank found himself short on cash after forgetting his wallet. What followed was an epiphany that led him to think of a charge card. 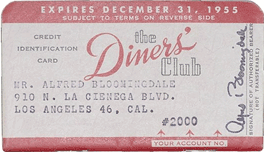 This card, later known as the “Diners Club Card”, could be used at multiple locations. This novel idea became the first true model of the multipurpose charge card. 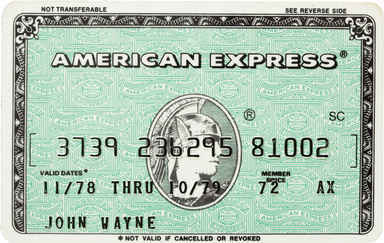 American Express issued their first credit card in 1958. Due to their international presence, the Green Charge Card was globally accepted. This became the first internationally available credit card. 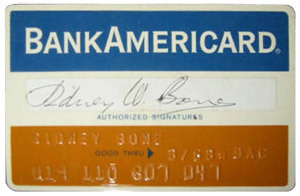 In 1958 Bank of America introduced a unique card that could be used to purchase anything at participating merchants. In other words, it was a universal card so the cardholder did not need multiple cards for specific destinations. 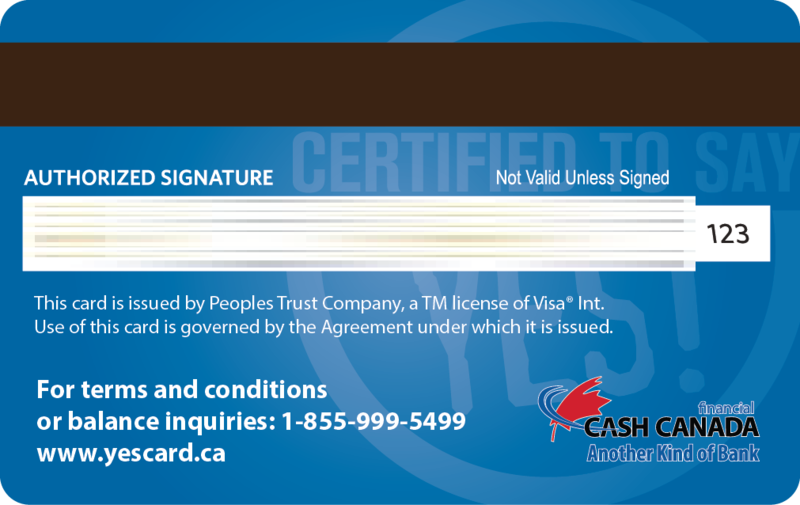 This card also set industry standards such as 25-day grace periods, credit limits, and floor limits. The pilot program in 1959 initially had 60,000 customers and was a huge success. The program was then rolled out state wide in California. Credit and debit cards would not be what they are today without the Mag Stripe. This momentous leap in card technology arrived when the CIA hired IBM to attach a magnetic stripe to their identity cards. The technology was already available; however, the main problem was permanently attaching the stripe to the card without wrinkles. While working on this problem, Forest Perry came home from work to find his wife ironing his clothes. When he mentioned the problem about the stripe, Forest’s wife asked to see the prototype card. Using the iron, she managed to melt the stripe to the card wrinkle-free. This solved the entire problem, which allowed IBM to go into full production with the Mag Stripe on all their cards. One of the most convenient aspects of plastic money is the all-serving ATM. 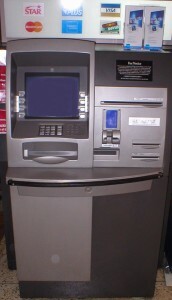 The ATM (Automated Teller Machine) was brought into existence in the 1960’s by John Shepperd-Barron. After an unfortunate and unsuccessful trip to the bank, John had to wait until the next day when it opened again. That night, while reportedly taking a bath, John thought of a self dispensing cash machine. Along with the invention of what was soon to be the ATM, he also invented the 4-digit international standard pin code. John first wanted a six-digit army serial; but his wife convinced him four digits would be easier to remember. In the 1960s, unsolicited credit cards became a big problem for the Chicago market. The Chicago market was untapped by credit card companies by the mid-60s, so several companies began mailing “pre-approved cards”. This mailing tactic proved to be nearly fatal for those credit card companies, because they were accidentally mailing them to convicted felons, toddlers and even dogs. Organized crime rings even took advantage by using corrupt workers to intercept cards. Since these intercepted cards were already pre-approved, the people residing at the mailing address were billed thousands of dollars without even knowing about the stolen cards. Originally the Visa card started as the BankAmericard program and was never intended to go national, or international for that matter. In 1965 BankAmerica begin a licensing program with banks around California. After enough banks subscribed to the program, BankAmerica was able to create a joint venture bank association. This eventually rolled out on an international scale and BankAmerica changed the name of their card to VISA International. They also created a domestic America version named VISA U.S.A. This two card system allowed VISA International to be more easily accepted across other countries due to having no association with America. The acronym VISA stands for Visa International Service Association; BankAmerica felt the name change was appropriate since VISA would be instantly recognized in many different languages. Their success continued and eventually they joined the Plus ATM network becoming even more accessible to customers around the world. These strategic branding choices allowed VISA to become one of the most recognizable and successful consumer brands today. While the BankAmericard was gaining precedent around California, in Kentucky their competition was also gaining strong ground. Crocker National Bank, Wells Fargo, and Bank of California came together and launched the Interbank Card Association (ICA) in 1966. 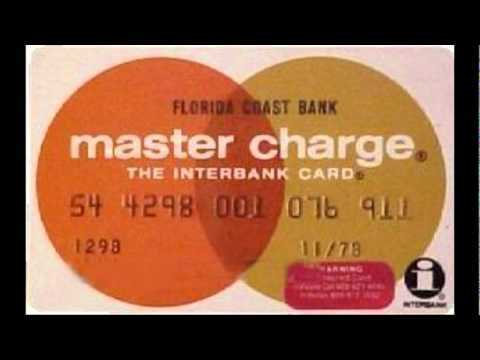 Three years later, Mastercharge changed their logo and came out with the iconic red and orange overlapping circle. However, it was not until ten years later when Mastercharge became the Mastercard we know today. The 80s were also a revolutionary decade for MasterCard. They released their emergency card replacement program; they entered the Pacific Rim, and acquired Cirrus which was the largest ATM network in the world. After such a successful decade, MasterCard capitalized on their advancements and became the other key player in the market along with VISA. The Discover Card was a revolutionary card in the 1980s. It specifically presented Sears and Roebuck & Co. customers with a new credit card option. This card was the first of its kind to have no annual fee, cash back, and high credit limits. The only problem was that since it was associated with Sears, other retailers where weary of accepting it, as they would be helping their competition. Eventually Discover realized that their brand needed to completely separate from Sears and so they proceeded to do so. Separating from Sears made Discover more attractive for other merchants to adopt the card. By the early 1990s, Discover became incredibly successful and was a regarded as a competitor of merit to Visa and MasterCard. To adapt to an ever-evolving technological world, credit and debit cards have become more efficient and instantly accessible across multiple mediums. With new technologies such as mobile platforms, this presents numerous opportunities for vendors and consumers alike. One of the more disruptive changes to plastic money came with the adoption of chip and pin technology. This system has become a standard with credit and debit cards, and is preferred to the magnetic stripe. Chip and Pin technology makes cards much more secure and personal information is very hard to steal because of the encrypted chip. A cloned chip can also be immediately recognizable as a fraudulent card, as each individual chip is specifically encrypted for each individual card. 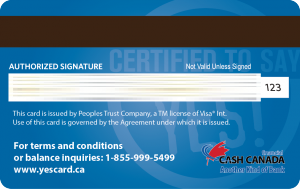 Even though this card technology has been around since the 1990’s, it has become nationally used across Canada, and will become mandatory in the United States by October, 1st 2015. Being able to accept transactions through a mobile device is a game changer for businesses. This was largely made possible by a company called Square. 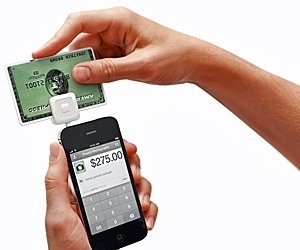 Square allowed a cell phone to be used as a point of sale system and accept card payments anywhere. The device simply plugs into the headphone jack and has a card slot for the customer to swipe their card. Introduced to the market with a 2.75% flat rate fee, mobile card readers have definitely a significant contribution to plastic money. Square has opened the door for many small businesses across the world that can now offer their consumers more ways to pay. The Bling Tag makes it even faster to pay via mobile device. It is a sticker that contains an NFC (Near Field Communication) chip. 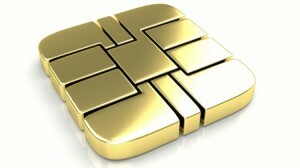 The NFC chip uses the same technology that is in your traditional credit or debit card. Any Bling Tag user simply has to tap their phone on the card accepter machine just like tapping a credit or debit card. This is convenience at an entirely new level. Consumers can leave their wallets or purses at home. The YesCard is a new way of accessing online loans and getting money instantly. The old ways of taking loans in the form of a cheque or cash, having to wait days for processing and then taking the time to deposit the money are gone! 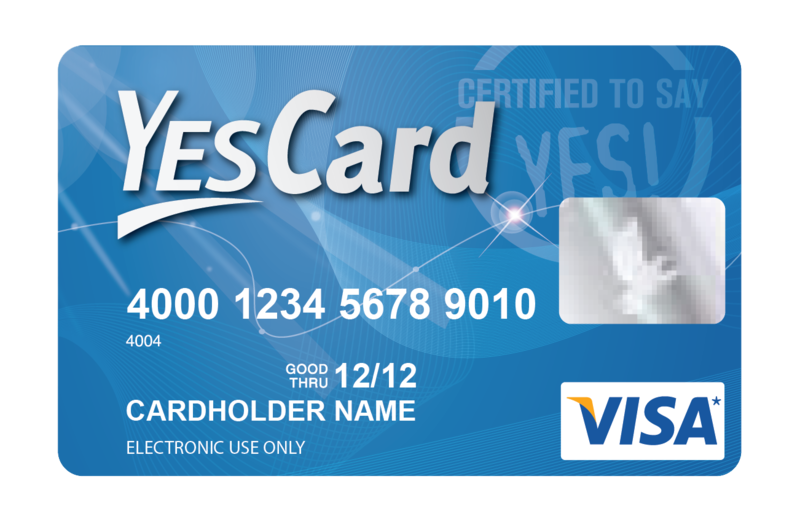 The YesCard allows you to access and use your loans any time any place and faster than anywhere else. 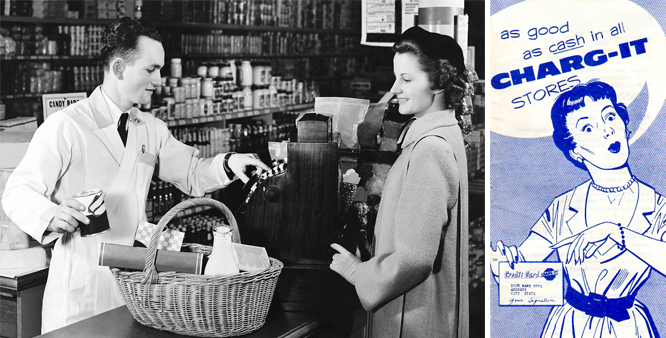 We hope that you enjoyed our overview of plastic money over the last century. Taking advantage of these new technologies could prove to be the first step in securing a company’s competitive edge. We’d love to hear your stories about how these technologies have impacted your lives.